Do you have photos, historical accounts or other items pertaining to the Bluffton area? Would you like to share this historical information with the world? LakesnWoods.com would like to publish your Bluffton photos (current or historical) or historical accounts on this website. Original materials can be returned and your privacy will be respected. 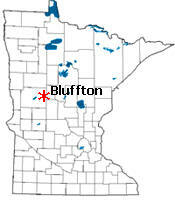 Bluffton is a city in Otter Tail County, Minnesota, along the Leaf River. 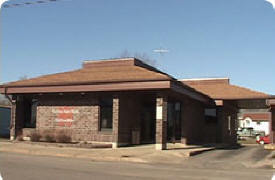 U.S. Route 10 serves as a main route in the community. According to the United States Census Bureau, the city has a total area of 2.79 square miles (7.23 km2), of which 2.76 square miles (7.15 km2) is land and 0.03 square miles (0.08 km2) is water. The elevation is 1,362 feet (415 m). As of the census of 2010, there were 207 people, 79 households, and 54 families residing in the city. The population density was 75.0 inhabitants per square mile (29.0/km2). There were 83 housing units at an average density of 30.1 per square mile (11.6/km2). The racial makeup of the city was 96.1% White, 0.5% Native American, 0.5% Asian, 0.5% from other races, and 2.4% from two or more races. Hispanic or Latino of any race were 1.4% of the population. There were 79 households of which 32.9% had children under the age of 18 living with them, 58.2% were married couples living together, 3.8% had a female householder with no husband present, 6.3% had a male householder with no wife present, and 31.6% were non-families. 27.8% of all households were made up of individuals and 15.2% had someone living alone who was 65 years of age or older. The average household size was 2.62 and the average family size was 3.20. The median age in the city was 33.9 years. 25.6% of residents were under the age of 18; 10.2% were between the ages of 18 and 24; 24.2% were from 25 to 44; 24.1% were from 45 to 64; and 15.9% were 65 years of age or older. The gender makeup of the city was 48.3% male and 51.7% female. BLUFFTON Township, organized July 17, 1878, and the city in sections 28, 29, 32, and 33, platted in March 1880, incorporated as a village on February 26, 1903, and separated from the township on March 19, 1909, received this name in allusion to the high banks or bluffs of the Leaf River along its course in the south edge of this township. North Bluff Creek is tributary here to the Leaf River from the north, and South Bluff Creek from the south. The village began with a creamery, a sawmill, a gristmill, and a station of the Northern Pacific Railroad; the post office was established in 1878. Here at Bluffton Hardware, we have been family owned and operated since 1954. That is 56 years dedicated to great customer service. Along with having all of your favorite Polaris ATVs and snowmobiles, we also have a wide selection of parts and accessories to make your ride more enjoyable. Visit one of our Polaris certified technicians to make sure you and your toys are well protected. We service what we sell. 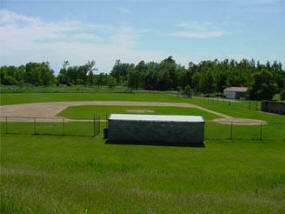 We also have all your lawn needs covered. See our Showcase page for all the Polaris units that we carry! We also do excavating work. Call us for information on sewer systems, basements, waterlines, and any other excavating you need done. Make Bluffton Hardware your one-stop, fun-time shop! Over 30 years experience in this business. We specialize in used farm machinery and tractors. 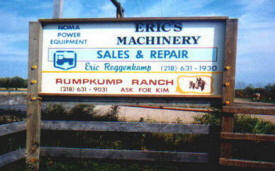 Eric's Machinery Sales has over 100 pieces of equipment on hand and over 30 tractors; ranging from 30-100 H.P. Some with loaders. Eric also works on most kinds of Diesel Injection Pumps. If you have a question, don't hesitate to call. Advice is free! 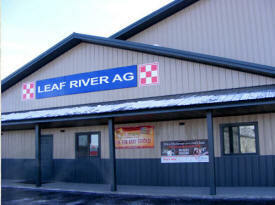 Leaf River Ag is a locally owned and operated Coop. 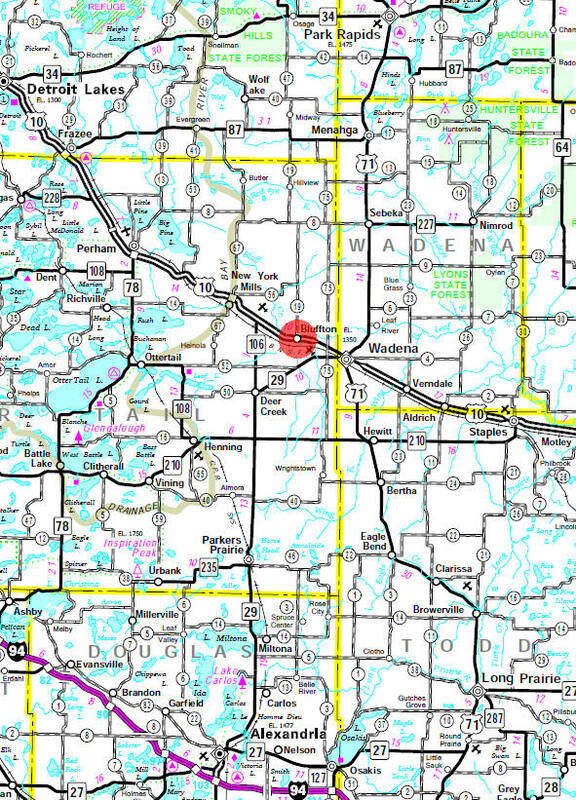 We are a full service Coop located in central Minnesota with locations in Bluffton, New York Mills and Wadena. We offer a variety of products from bird and pet food to all crop production inputs, grain marketing, home heating, delivery of fuel and propane and the manufacturing of a full line of livestock feeds and a supplier of livestock equipment. 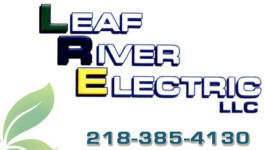 Leaf River Electric LLC provides electric contractor services to Bluffton, MN and the surrounding areas. Our staff handles all kinds of electric contractor services for commercial, residential, and mechanical areas. Our Services: Electrical services Mechanical services Aerial Boomtruck Trenching. We want you to know how pleased we are to serve you. Our staff is conscientious and here to help you in any way possible; whether you're in need of a checking or savings account, a personal loan for a new vehicle, a real estate mortgage, or financing to start your own business. We pride ourselves in providing the highest quality customer service for all your deposit and lending needs. Being locally-owned, we have a vested interest in the success of our area. A good portion of your deposits are invested in the surrounding communities by way of loans to community members and businesses.